My project EUSA documents American-themed places in Europe and European-themed places in America. In the U.S. these “European” venues resemble a land of make-believe, like something out of a fairy-tale. They are magical, whimsical and quaint and the attendees are paying tribute to their ancestry and origins. 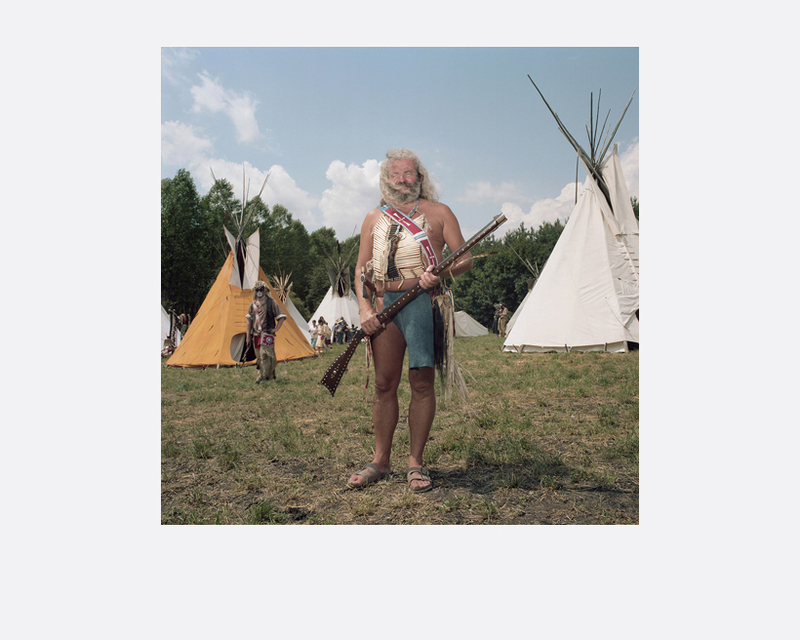 In Europe, these American-themed amusement parks and festivals reveal an ongoing enthusiasm for a mythologised “America” of the past, when the U.S. was considered glorious and free with cowboys and Indians roaming the wide-open plains just like in the movies. The foundation of these locations was to honour the “other,” but what was once characteristic has now ultimately become a caricature. Photographing these fascinating locations across these two continents my goal was to illustrate the enthusiasm we have for one another’s culture and heritage. These exaggerated reconstructions bear little authenticity rather are a perception of fantasy, a sense of what the other wishes the reality to be. And through this spirit of camaraderie, if only for that moment, the participants are granted membership to another’s culture. Globalisation has made the uniqueness of a particular country less significant thus creating an indistinguishable common world community. EUSA is a reaction to the homogenisation of European and American cultures. Being enthralled by another country’s way of life does not mean that it is always an accurate portrayal rather it becomes a sentimental and idealised depiction; an homage to a heritage that isn’t one’s own. We are living in tumultuous times where our origins seem to be painfully important to us. Brexit has just occurred largely in part due to people’s nationalistic pride, nostalgia for a better (albeit whiter) time in Britain and intolerance of immigrants infiltrating Mother England. In the United States xenophobia and racism are the platform of a certain candidacy and at this moment in time it looks incredibly plausible that here too hate and fear will trump (pardon the pun) love, acceptance and rationality. I began this project in June 2008 photographing High Chaparral, a wild-west theme park in southern Sweden. Since then I’ve visited over twenty-five locations on both sides of the Atlantic including ‘Indian’ festivals in Germany, a Tulip Festival in Orange City, Iowa, an American Civil War reenactment in the Czech Republic, a Maifest in Leavenworth, Washington, numerous Oktoberfests around the United States, and a variety of ‘Cowboy and Indian’ amusement parks throughout Europe. Canadian-born Naomi Harris is primarily a portrait photographer who seeks out interesting cultural trends to document through her subjects. Personal projects include HADDON HALL in which she documented the lives of the last remaining elderly residents at a hotel in South Beach. For this work, she received the 2001 International Prize for Young Photojournalism from Agfa/ Das Bildforum, honorable mention for the Yann Geffroy Award, and was a W. Eugene Smith Grant in Humanistic Photography finalist. For her next project AMERICA SWINGS, she documented the phenomenon of swinging over the course of 5 years (from 2003 to 2008) all over the United States. This project was realised in her first monograph America Swings released by TASCHEN in 2008 as a limited collectors edition and again in 2010 as a trade edition. Artist Richard Prince interviewed Ms. Harris for the book and it was edited by Dian Hanson. She recently completed EUSA which is a reaction to the homogenisation of European and American cultures through globalization and is releasing a book by the same title in early 2017. 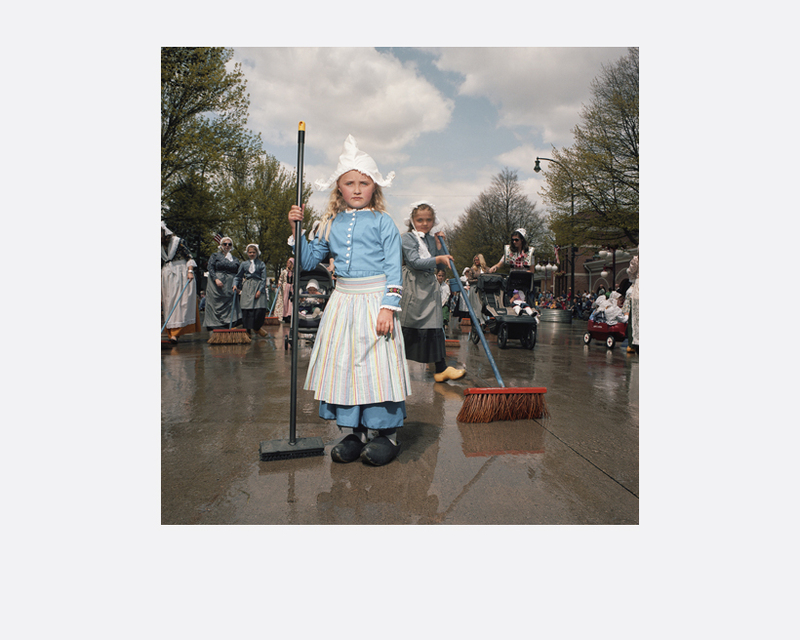 It is currently on the shortlist for Luma Rencontres Dummy Book Award in Arles, France. In June 2012 after living in New York for 15 years she decided to leave and live in her car traveling around America with her dog Maggie, in preparation of becoming a US citizen, which she did in August 2013. After a couple of years of rubber tramping she has decided to plant some roots and call Los Angeles home.